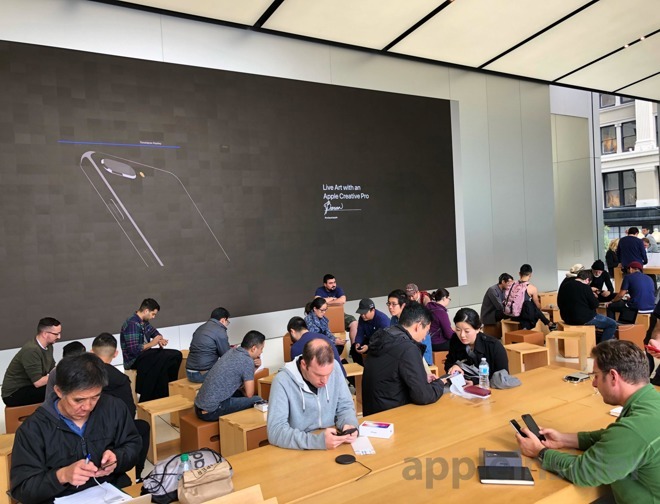 Apple's implementation of its vision for the future was even more impressive given the operational savvy Apple has shown in building a pipeline of massive quantities of the new iPhone X to support throngs of buyers wanting one on the first day of availability. 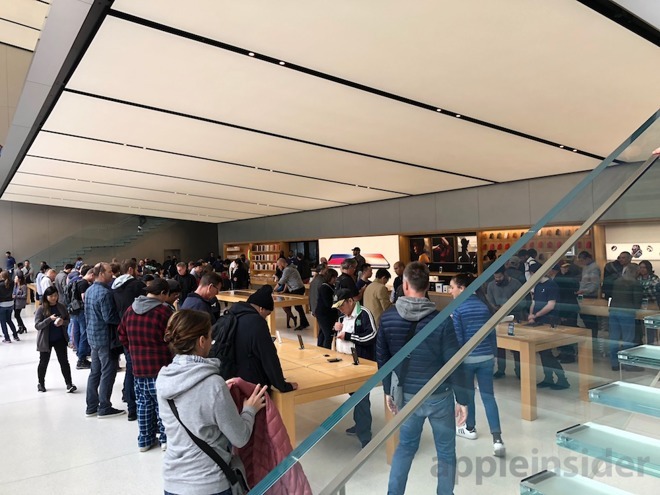 On top, a decade of iPhones (following several years of excited demand for new iPod releases) has given the company retail experience in how to accommodate demand without in-store chaos. Lines are also managed to prevent blocking other retailer's doors or driveways. At 1 PM, a couple joined the end of the line stretching a block down Post Street, noting "oh it's not too bad." 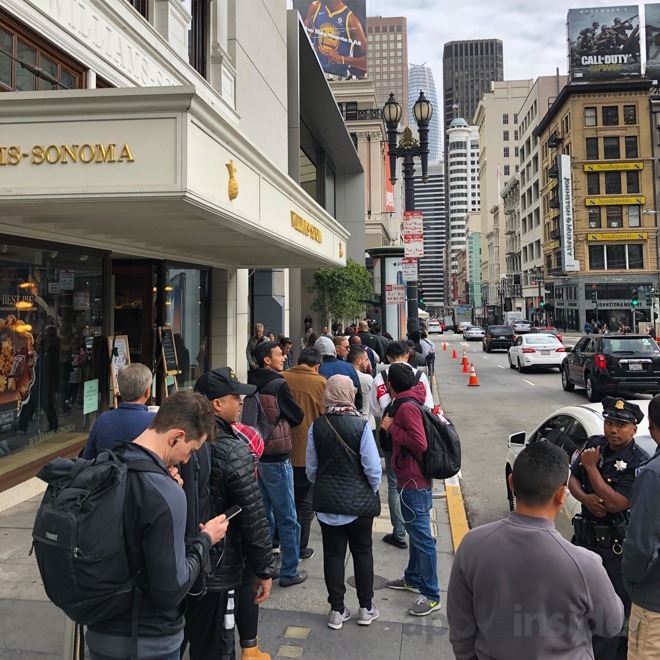 The line continued to the front of the store where it doubled back, allowing employees to meter in iPhone X buyers in an organized fashion. It was a nice enough day to have the gigantic, two level front windows open, providing a dramatic view of Union Square itself, already sporting a giant Christmas tree. The story itself was also busy with other shoppers, who didn't need to wait in lines to peruse accessories or make other purchases. Sitting in the outdoor courtyard behind the store, a man pulled a new product from his shopping bag and excitedly began setting it up in the free WiFi area. But it wasn't an iPhone X; it was a new iPad Pro. 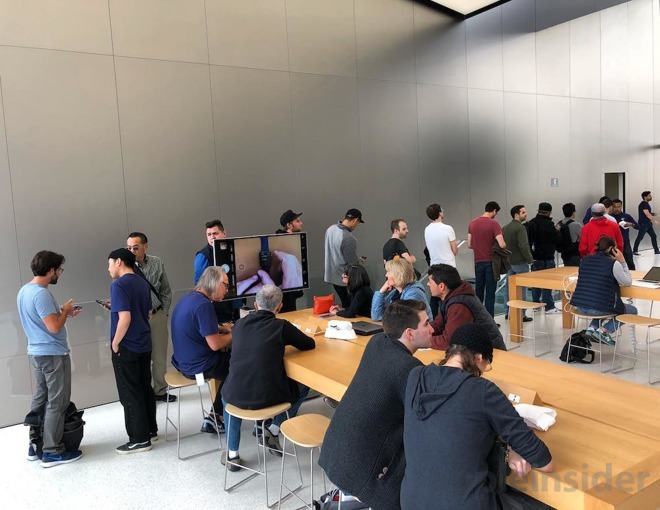 The lines for new iPhones—which have been a fixture of new launches now for ten years—seemingly shouldn't be necessary, given the ease of ordering online. 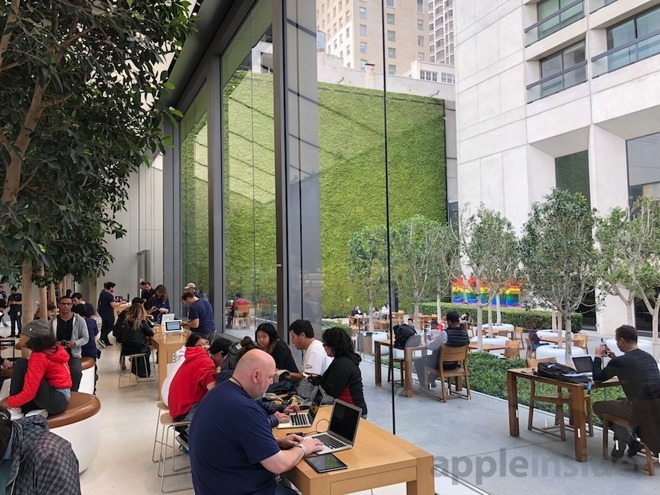 However, some buyers are in line to get assistance with setting their new device up, one of the strategic benefits Apple has reaped from its global investment in building retail stores that also serve as a way to get personalized support. 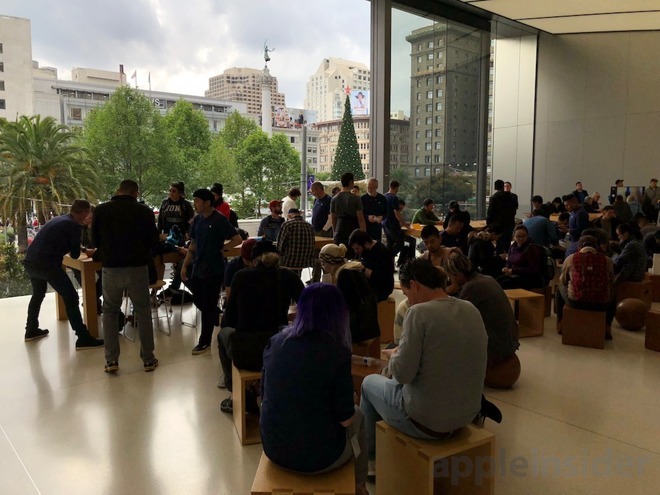 Also in progress at the store was an Apple Watch presentation and a Live Art discussion by a Creative Pro—the recent expansion of Apple's in store support and training on its products beyond the more technical Genius staff. 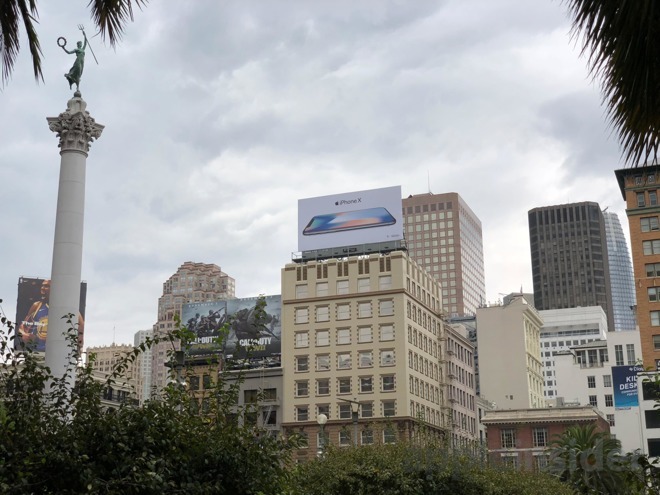 Excitement for the new iPhone X is also shared by people who couldn't wait in line on launch day. When I picked up my car at the dealership, the service tech noted my phone and asked, "oh did you just pick the X up today? I'm getting mine tonight after work."